A Thermo Scientific™ LIMS solution can help reduce the risks and costs associated with quality and safety demands that have risen dramatically in every industry in recent years. Our solutions help manufacturers manage high volumes of data, stay in compliance with industry regulations and standards, maintain audit trails, and support the needs of the laboratories and users involved. Advanced laboratory information management systems (LIMS) manage biospecimen locations, online request management, data compliance and security, instrument integration, chain of custody, patient demographics and client billing. A Thermo Scientific LIMS purpose-built for pharmaceutical manufacturing and QA/QC laboratories connects multiple labs, disparate instruments and varied workflows, and integrates with existing enterprise systems. LIMS emulates the lab workflow and drives the lab process, while providing the resources for laboratory management. Thermo Scientific™ Integration Manager and Data Manager collect raw data and final results from instruments, connecting samples and results. For basic and intermediate chemicals manufacturing, specialty, agricultural, or household chemicals, LIMS can help reduce inventory, increase efficiency, and maintain regulatory compliance. Thermo Scientific Clinical LIMS delivers comprehensive laboratory and patient management functionality for clinical and molecular diagnostics. Contract Research Organizations (CROs) and Contract Laboratories increasingly offer a more focused and expertise-centered approach to their services. See if Thermo Scientific LIMS is right for yours. Bioanalysis is an integral part of clinical and pre-clinical drug development. Make your assay validation, bioanalysis of samples, sample tracking, and results reporting more efficient. Thermo Scientific LIMS enable food producers to standardize and coordinate operations at all stages of food production, from the farm to the table and from the production of raw ingredients to packaging. In mining and metals manufacturing industries, the integration of data generated from exploration, extraction and refining is critical for the maximization of efficiency and revenue. SampleManager LIMS is the first choice for many petroleum companies around the world. SampleManager LIMS is scalable for a large user base and is available in multiple languages, and is flexible and configurable. 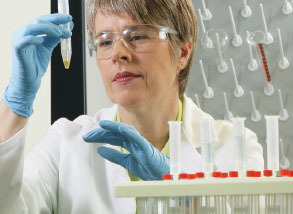 The Thermo Scientific™ Water and Environmental LIMS solution supports effective management of compli­ance in the laboratory with exten­sive features for customer and sample management. Visit our library of published articles, authored by our company executives and subject-matter experts. Topics include a range of industry thought-leadership and technical articles highlighting Thermo Scientific™ Informatics™ solutions.